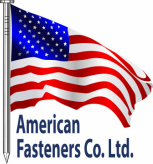 We are proud to be bringing manufacturing jobs back to the U.S.A., installing our first collated nail line in 2015. Now producing the finest plastic collated "gun nails" available. We are manufacturer of high quality ICC Certified plastic and paper tape collated gun nails. With capacity and efficiencies for both bright and hot-dipped galvanized wire that meets or exceeds all testing standards. Our commitment to the marketplace is staged around the prime collated gun nail in diameters of .131” and .148” with various lengths. Our CORE manufacturing capabilities come from our state-of-the-art high-speed equipment, a reliable source of high quality raw materials along with a professionally trained and accountable operations team. This will allow us to efficiently manufacture and quickly ship our nails to customers across the US.